Want to know the differences between two of the most sought after V8’s in the world right now? We put the LS1 and LS2 side-by-side to find out which engine is best suited for your needs. This time, it was Chevrolet’s turn to show their hand, and they did so in style as they unveiled the brand new Corvette C5. It was certainly a fantastic looking car, but the real treat would be lying in wait under the hood..
Little did people know at the time, but the soon-to-be-legendary Gen III LS1 engine had arrived, and this revolutionary engine would quickly become a total game-changer in the automotive world. A lightweight, aluminum 5.7L small-block V8 with 345hp and 350ft/lb of torque might not sound mindblowing by modern day standards, but this was just the beginning. What would later ensue is complete incapability of opening your social media feed without having to scroll through ‘LS SWAP THE WORLD’ meme’s more than 20 years later. In this guide, we’re going to put the LS1 up against its younger brother, the LS2, as the V8 powerplants go head-to-head as we find out whether all this LS love is truly justified, and if so, which one is best for your needs. 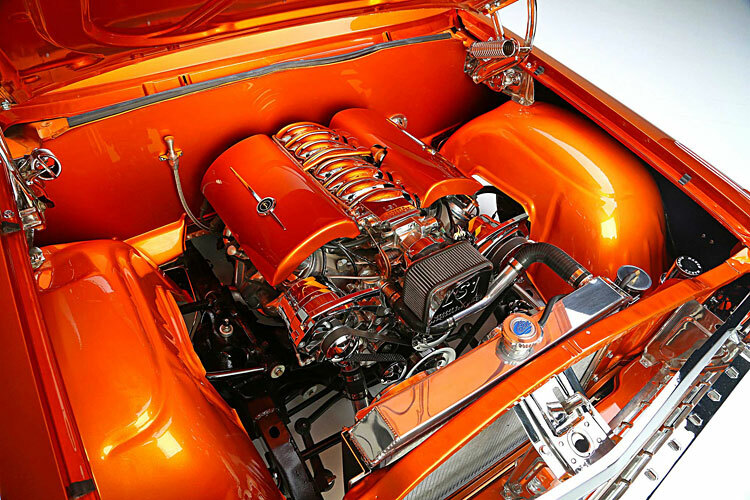 The LS1 was GM’s first major redesign of their basic small-block, which was initially introduced in 1955. This notorious engine was already extremely popular for its performance, affordability, and reliability and was one of the most popular offerings in various forms of motorsport, particularly the drag-racing scene. After launching their LT1 (Gen II) engine to the market in 1992, they got straight to work with producing what would be their most impressive engine yet, the LS1. Want to see how the LS1 stacks up against the LT1? Our LT1 Vs LS1 feature was written just for you. By the time the winter of 1993 arrived, GM had already created a cast-iron version of the Gen III, which were being pushed to their limits behind closed doors. Eventually, GM got one step closer to their goal, as the all-aluminum equivalent would eventually get its chance to initially prove itself in 1995, prior to its official launch in 1997. As well as being incredibly lightweight, the LS1 ticked just about every box going. For such an incredibly small powerplant, it breathed incredibly efficiently, allowing it to produce insane amounts of power within an extremely compact and efficient package. Needless to say, it immediately took the tuning world by storm. As the aluminum variant continued to impress, GM then went on to release a cast iron equivalent for use in trucks and SUVs. This was an ideal option for those that needed to keep the power down, but was also far stronger, allowing for even more stunning power figures. The cast iron block is undeniably heavier at 216lbs, compared to the stock 106lb, but this provided the perfect solution for those that were looking to push the engine beyond its 700ish hp capabilities in stock form. As people begun to push the cast iron blocks in an attempt to establish their seemingly never-ending limits, horsepower numbers were continuously rising and jaw-dropping figures such as 1,400hp were soon achievable with supporting upgrades. You’d be forgiven for thinking that the LS2 superseded the LS1. It was in fact, the LS6, found in the Z06, which hit the market first. It was also later included in the Cadillac CTS-V. The LS6 was essentially an upgraded, high-performance LS1 which featured stronger internals, higher compression and superior airflow with its improved cylinder head design. After a short spell in the market, the LS6 would create the perfect stepping stone for the introduction of the LS2, which shared many of the same components, this time on a mass-produced scale. In 2005, it would be time for GM to drop the ultimately refined combination of both the LS1 and LS6 as the highly-regarded LS2 hit the market. Producing 400bhp and 400ft/lb torque from the factory with a 6,500rpm redline. It once again left tuners and automotive enthusiasts across the world desperate to get their hands on this new 6.0L offering. The LS2 features many similarities to the LS6 yet has an improved block casting, improved torque throughout the rev range, larger bores and a smaller camshaft. Compression was raised once again, this time to 10.9:1, compared to the LS1’s 10.25:1 and the LS6’s 10.5:1. Despite the changes, the blocks are so similar that many of the Gen III parts are conveniently interchangeable. As an example, this means that you would be able to use LS6 cylinder heads on the LS2. There’s been a lot of discussions over the years on whether an entirely new generation for the LS2 was justified, given the similarities. Regardless, it was certainly a worthwhile upgrade from its predecessors. What makes the LS engines so popular? Fanboys have been shouting from the rooftops about just how awesome LS engines are. Do they live up to the hype? Where GM really nailed it is by producing ridiculously high-flowing cylinder heads. The more air you can squeeze into an engine, the more power it’s capable of producing, and the LS really is one of the most efficiently breathing engines out there. This means that massive amounts of power can be generated from reasonably-sized packages, which, combined with being lightweight, is why so many people are opting for them. THE DRIVE shares their thoughts on the LS here, the title gives away their thoughts a little! With the aluminum block, it’s not just lightweight and impressively strong considering, but it can pump out some serious power figures for its size. It also has the added benefits of warming up and cooling down far quicker than the thick and heavy cast-iron equivalent. Another benefit of the LS series is just how interchangeable parts between the various engines are. From cylinder heads to crankshafts, intake manifolds and more, you’ll most likely find spares and parts extremely conveniently. Be warned though, not every part matches every combination, so make sure you do your own research to avoid disappointment. Some enthusiasts will claim they’re the best sounding thing on the planet, but we’ll let you decide that one! If you’re into LS swaps, one of our favorites of all time has to be Joachim Waagard’s controversial RX-7 FD LS2! We’ve got a whole lotta love for this LS-powered Hyundai Genesis throwing down big angle at the track! What are the differences between the LS1 and LS2? Despite undoubtedly being mostly based on the original architecture of the Gen III, GM opted to rebrand the LS2 as the Gen IV small-block, with the 2005-launched LS2 being the first of many engines to follow. The displacement, cylinder heads, throttle body, and intake are the main differences between the two, and even some of these revisions are minor! Alongside the displacement increase from 5.7L to 6.0L, one of the main changes with the LS2 was that it utilized a new block casting. Several sensor locations have been relocated to make way for GM’s Displacement on Demand cylinder deactivation technology. Despite the LS1 head being known for its impressive airflow, the LS2 managed to offer even more efficiency by utilizing the tried-and-tested, improved cylinder heads which initially featured on the LS6. The LS2 features raised intake ports and a combustion chamber design with unshrouded valves, which, when combined with the engines flat-top pistons produces an improved air/fuel mixture. LS engines are excellent candidates to fit stroker kits to. After all, there really is no replacement for displacment.. You can find out more from our stroker engine article. This, combined with the revised flat-top piston, provides a higher compression ratio of 10.9:1 compared to the 10.1:1 which was found on the LS1, and 10.5:1 on the LS6. The end results are the improved horsepower and fuel economy which were achieved over the LS1. The LS2’s valves measure 2.00 inches for the intake and 1.55 inches for the exhaust. The valve springs are designed to handle the engine’s 6500-rpm rev range. The LS1 cylinder bores measured at 3.898 inches, however, the LS2 was increased to 4.000 inches. The main changes here are a true flat-top design and a revised tension ring, which free up more horsepower. The Gen III engines sometimes suffered from a “piston slap” sound, which has been rectified in the LS2 by fitting full-floating wrist pins. The LS2’s intake manifold is mostly the same, although they also required some adaptations for the new sensor locations. One of the most substantial amendments was the lighter exhaust manifolds, which are now are apparently one-third lighter than they were in the LS1, which also provided improved flow thanks to a reduction of the wall thickness. This provides around a four-percent increase in overall flow. Located at the bottom of the block of Corvette LS2’s, a revised oil pan with redesigned baffles ensure an adequate oil supply during high-load situations. This was due to oil starvation issues found on the LS1 fitted in the Corvette’s when used under heavy situations, such as being pushed to its limits on the track. 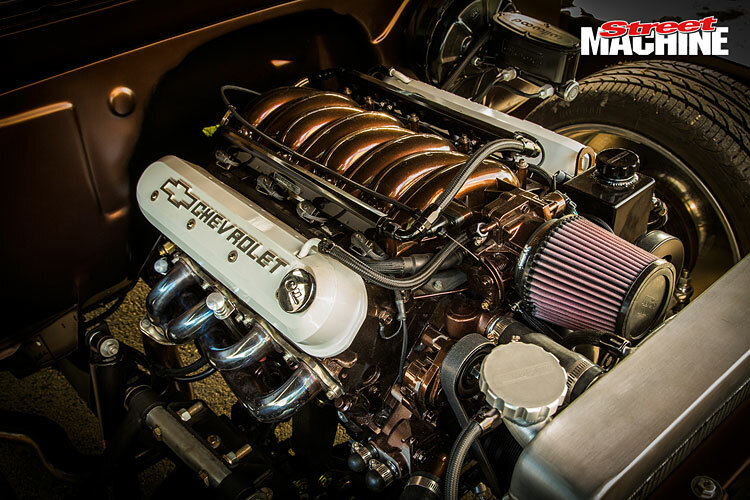 GM once again opted to utilize the parts found in the LS6 for the high-lift camshaft. One of the biggest changes was the addition of a huge, single-blade 90mm throttle body which incorporates Electronic Throttle Control (ETC) for the first time. This electronically controlled fly-by-wire replaced the traditional cable throttle body which was previously found in the LS1. The LS2’s throttle body is mounted to the intake manifold on a slight upward angle to reduce water puddling at the bottom of the throttle body. The manifold itself isn’t revolutionary; just an evolution of the cross-over plenum design of the LS1 and LS6. The water pump received a revised design with improved sealing to reduce its chances of leaking. A new, improved coil pack system was introduced for the LS2. These are far more efficient and require less energy to deliver the same spark as the LS1 coil packs. As mentioned above, this is the electronic fly-by-wire on the LS2 and original cable throttle for the LS1. These are found on the side of the block on the LS2 and under the valley cover on LS1’s. This is found in the driver side of the timing cover on LS2’s and at the rear of the engine behind the intake manifold at the top of the block on LS1’s. It’s a little hard to find with the engine fitted, but LS2’s will have a 6.0L stamped into the block. 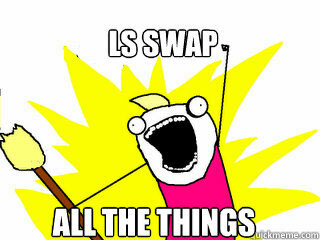 SHOULD we LS swap all the things? But, on a serious note, do the annoying distant friends that insist on spamming your news feed have a point? The LS is light, cheap, and has heaps of power for the money. It’s also pretty compact considering, meaning that it can fit in most averaged-sized engine bays. If you’re considering swapping an LS into something unique and throwing it down sideways at the track, you’re going to want to check out our How To Drift article for everything you need to know. 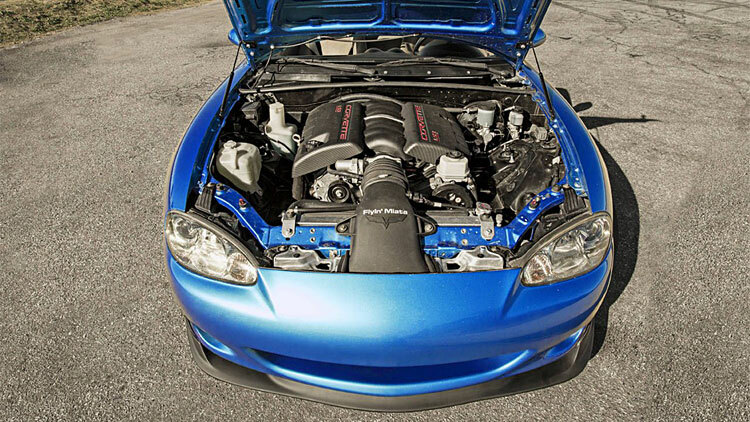 There’s no question that it’s is one of the most sought after series of engines in the world right now, and with ever-growing inflation on the JDM scene-tax, it’s easy to see why people are potentially choosing these over 2JZ’s, for example. Then, there’s the reliability. Since they’re capable of around 700hp on stock internals, there are not many, if any, JDM alternatives that can truly match it. Especially not for the price. We love crazy swaps, and this ridiculous sounding supercharged LS2 Volvo 240 ticks all the right boxes! For this reason, we’ve seen them placed in just about any bay you can think of over the years. From Miata’s and 240s, right the way through to classic SUV’s. Rather unsurprisingly, the LS has also managed to maintain its spot at the top of the drift scene for many years, too. Some might think its played out now, but to be honest, we can understand the appeal. Given that it’s often the same size, or even smaller, than some of the stock turbo 4-cylinder engine that owners replace them with. At the same time, they have no turbo lag – or turbos to go wrong for that matter. If it does go completely wrong, chances are, especially if you’re based in the US, that you can conveniently pick one up for a reasonable price at your local junkyard. We wish the same could be said for the likes of the 2JZ! If you’ve managed to source an LS, but you’re not sure what you want to throw it into, then our 11 Best Budget Project Cars article will certainly give you some reasonably-priced ideas. For a naturally aspirated engine, producing some worthwhile power gains from the LS is easily achievable. The natural route would be to begin with the air intake, move on to a cat-back exhaust, headers and then consider head and cam upgrades. Depending which engine you have, it’s certainly worth checking if uprated parts are interchangeable. For example, with the LS1 engine, the LS6 intake is a popular, inexpensive upgrade. On top of that, you can also consider mods such as NOS, which is likely to produce huge power gains for the cost but will, of course, put a lot of strain on the engine. If you’ve got the budget to go all-out, you’ll be amazed by what can be achieved with the right upgrades! Interested in building a decent spec car? Our How Much Do You Need for a Top-Tier Tune Up? guide will undoubtedly give you a useful insight into what you can expect. Curious about what the LS2 stock bottom end is capable of? We’d say this is about as far as you can safely go! Which cars left the factory with LS1 & LS2 engines? Bagging yourself a cheap LS will undoubtedly be an epic buy. With the ease of rebuilding, don’t be scared to take on a project even if it does initially seem a little daunting. With a wide variety of interchangeable parts, they’re one of the most convenient engines to build on the market. The LS1 engines were produced between the 97 and 04 model years in the U.S, and into 05 on the international market. You will, of course, want to check that it’s got the correct motor under the hood before purchasing! Alternatively, if you’re planning to make huge power, then the iron block configurations are undoubtedly worth considering. So, we’ve reached the point where we’ve got to ‘that’ question! Now, if you’ve made it this far, you’re probably thinking that it’s a no brainer. Not only was the LS2 the revised equivalent, but they even had a stepping-stone in the middle with the LS6 to refine it even further from the LS1. The LS2 certainly wins when it comes down to power, torque and fuel economy. However, how about if we’re talking bang for your buck? There are undoubtedly some extremely cheap LS1 engines to be had out there, and while the obviously convenient choice would be the LS2, with slightly more aggressive cams, better flowing heads, and a larger bore – is the difference really that substantial? The LS1 does have a slight lack of torque low down, where the LS2 doesn’t struggle as much. However, if you’re planning to be upgrading an LS1, chances are you’ll be eliminating that anyway. For some owners, they want the best option regardless of expense, and that’s completely understandable. However, at the same time, many owners would rather pay substantially less money for an LS1 and then do the necessary upgrades to make it more epic than a stock LS2 AND still have money left over at the end. If you got your hands on a stock LS1, you could then source an LS6 intake and then change the cam and heads. This will provide you with fantastic power gains and improved MPG. If you want to spend even more, you could consider going down the supercharger route and pushing the true potential of what its really capable of. On the other hand, if money isn’t an issue, or you’ve managed to get your hands on a cheap LS2, then it’ll likely be the more convenient option to go for. The LS2 already features a better block, better heads and LS6-type cam which most LS1 owners would likely upgrade to as a minimum. Alongside that, it also has full-floating pistons, a higher compression ratio, a higher RPM limit, larger bore cylinder heads, much hotter ignition coils and a better timing chain. The LS2 also has the convenience of being one of the most adaptable engines, with the ability to fit LS1, LS6, LS3, and L92 cylinder heads. In summary, the LS2 is clearly the better all-around package from the factory. However, it’s worth working out whether pouring out that extra cash on an expensive LS2 could, in fact, be better spent improving the humble LS1, which is certainly no slouch! Either way, we have no doubt that you’ll be delighted when you fire it up and hear this V8 beast roar! We know that you guys love browsing through hours of epic YouTube content, so we’ve provided some of our favorite LS clips! We hope that you’ve gained a wealth of knowledge and can finally choose the V8 powerplant you’ve been hoping for! Decided that the LS doesn’t suit your needs? Why not consider going down the JDM route? We have a guide comparing two of the best in our 1JZ vs 2JZ guide!